Inspired Retreat was first founded in 2012, but we moved to our sweet home tucked in the woods and pines of Evins Mill two years ago. These two years have been a time of growth and grace. A time for realizing that MY goals and MY desires needed to get out of the way so I could see that my true gift is in helping OTHERS realize their own... to live in them, to celebrate them, to give them freely to others. I started wearing my bracelet two weeks after Inspired Retreat, so I could remind myself that the hustle in wrapping up the final details was worth it. Now, I'm wearing it to remind me that this is the place where my heart changed. Thank you to my @kappa_alpha_theta sorority sister @shylamoonmade for creating these bracelets with the latitude and longitude coordinates of @EvinsMill. What a special piece of jewelry they are to the three dozen ladies who received them! But on the first day, I felt goosebumps so many times over that I believed just how 'magical' it truly is. At the end of the first night, instead of feeling exhausted from hosting an event of this scale and magnitude, I felt rested and fulfilled in the best way possible. 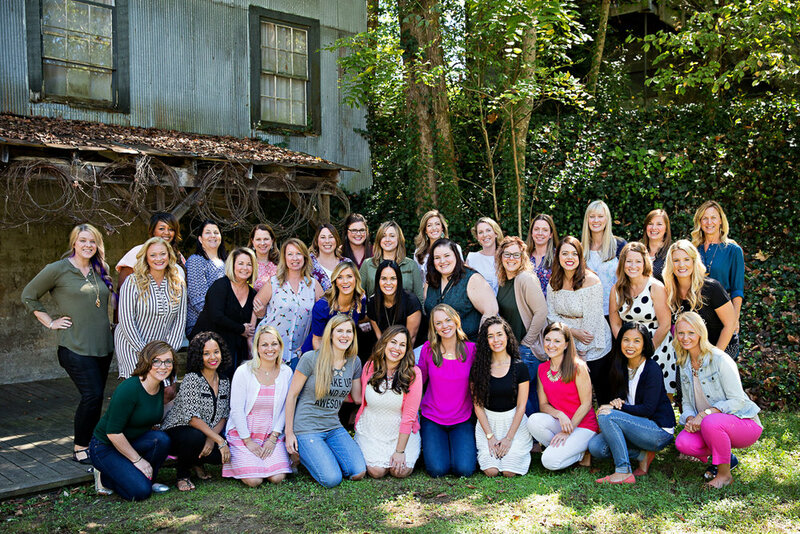 This past Inspired Retreat was the first experience where I felt completely at rest and assured that everything — the women in attendance, the content, the pretty details, the weather — was exactly as it was meant to be. Quite honestly, it was a confidence booster. I felt energized and refreshed among these women. Confident that bringing women entrepreneurs together in this way was still needed and purposeful. There's a certain magic that happens here in this old lodge tucked in the woods next to a sweet babbling creek. Thank you to all the special people who made Inspired Retreat happen — from the speakers, to the sponsors, to Kristyn Hogan our photographer, to our attendees, all of them helped make this possible! Stay tuned to tomorrow's Part II post sharing a deeper dive into all the delightful details! Will you be there for the next one? Join me on September 10–13, 2017. 💕 Mark your planners now! Registration opens this winter, so enter your email below to be the first to know.